Identifying steps to be taken when planning activities is important for innovation. Appropriate sequencing is required to ensure that all the components required for successful discovery, but it does not mean, that all activity is sequential. It is common knowledge that in identified phases a sequence of activities is present. 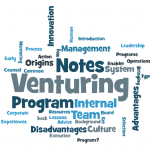 Generally speaking, a sequence exists between three distinct phases as described in the Innovation Management Standard: the Discovery, Development and Deployment phases. It is not to say that these activities may not overlap, or that you may not have to circle back/retrace, or even that all activities are linear at all times. This is particularly relevant for the Discovery phase. As most new product, service or process development initiatives are handled in the form of projects, it is typical that this requirement is dealt with by means of project management tactics. These may be linear using a waterfall model, or cyclical using e.g. methodologies like e.g. Agile/Scrum. Innovation Management is an improbable marriage between chaos and structure. Most larger organizations today have structured activities around innovation and product/service development decision-making and activity flows into processes. On the one hand, they have to because, among other things, only a proper framework of decision-making for activities can minimize your risk, avoid re-work, put activities in the right sequence, and relate all the activities to each other. In a way, a restaurant is a nice analogy: it has a chef (a manager), a kitchen team, a team of waiters, and a set of processes (recipes, work procedures). Without a proper sequence of activities in the recipes and work procedures, a list of ingredients, etc. the kitchen team is almost by definition destined to fail consistently at producing a proper meal, and the team of waiters would consistently fail at serving dishes to clients with a minimally acceptable degree of predictable quality. Prior to attempting to adopt innovation management as a practice within an organization, innovation as a concept must first be understood fully, since this term can mean very different things for different people. 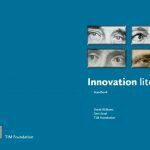 This TIM Foundation Guidebook provides universal facts, truths and un-truths about innovation in general and as a practice within an organization. It attempts to straighten out blatant misconceptions and myths. We hope you enjoy it with as much pleasure and satisfaction, as we had writing it. 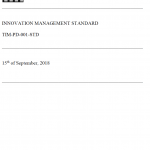 Free sustainable innovation management guidebook now published! Without innovation no real sustainability, without sustainability, no real innovation. The two themes are connected. The TIM Foundation and the Cooperative ARC have published a free ebook on sustainable innovation management. It is titled TIM Foundation Guidebook Two: Sustainable Innovation Management. All you need to do is register and you can download your free copy here. If you have any comments or suggestions, please let us know. We are inviting qualified co-authors to help build the next release of this guidebook. Send us an email directly through info@timfoundation.org if you are interested. We hope you enjoy reading this!